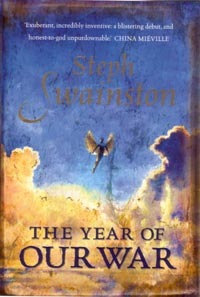 Steph Swainston’s second book was a sequel to The Year Of Our War. Although No Present Like Time isn’t a direct continuation of the first book’s plot it does feature the same setting and characters. The War with the insects is under control (for the moment, at least) and it should be a time to relax for Comet and the other Immortals responsible for the newfound Peace. However, some drastic changes are about to occur to Comet’s comfortable existence. The catalysts for the change are two near-simultaneous events. First Gio Serein, the castle’s Swordsman, who has held his position for centuries, is defeated in a challenge and displaced by a young man inexperienced in life, but with a great talent for duelling. Gio is incensed by his humiliating defeat and, faced with the prospect of losing his immortality and dying in a mere few decades, insists he should be returned to his rightful place as the best Swordsman. When the Emperor is unsympathetic, he leaves to try and raise a revolt against the Emperor and his former immortal colleagues in the Circle. Meanwhile, the world is reacting to the news that a new inhabited island has been found, called Tris. This is shocking to the people of the Fourlands who believed they were alone in the world, and the Emperor quickly despatches a couple of ships to make contact with the people of Tris to try and bring them into the Empire. Comet, the main character in this novel, as in “The Year Of Our War”, is none too pleased to be tasked with accompanying the ships on their long ocean voyage to Tris. For one thing, he is terrified of the ocean and of drowning, he is fighting a resurgent addiction to the drug which allows him to shift out of reality to the bizarre world of Epsilon and he is also suspicious that his wife is having an affair with the world’s Strongest Man. It is meant to be a simple voyage of exploration, but when they reach Tris things quickly go wrong. The people of Tris with their unusual method of government (something called ‘Democracy’ which Comet finds inexplicable) aren’t keen on joining the Empire and some of Comet’s fellow immortals turn out to have their own agenda. As a series of diplomatic blunders turn the people of Tris against them, Comet also begins to suspect that there may have been more to the sudden discovery of Tris than was previously suspected. After the excellence of “The Year Of Our War”, I was really looking forward to Swainston’s next book and this doesn’t disappoint. 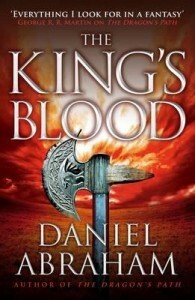 It isn’t quite as good as its predecessor – the prose isn’t quite as polished, the plot isn’t quite as compelling and the thrill of discovering a highly original new world is largely missing. It is easy to get the impression that Swainston may have spent a bit more time on her debut novel than the sequel, but that doesn’t mean “No Present Like Time” is a poor book, it is still very good. Comet is still a likeable, if extremely flawed, character and the surrounding characters, both old and new, are both interesting and well-portrayed by the author. The Fourlands (and Epsilon) are still highly-original pieces of world-building and we get to see a bit more depth this time, with less of a focus on the destructive Insect War. In summary, this is a good book. 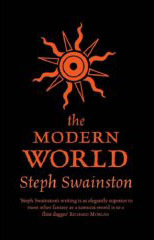 Not as stunningly brilliant as Swainston’s debut novel but still a highly entertaining read. 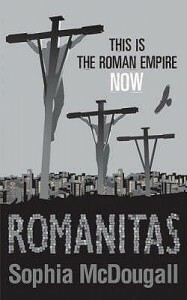 Having been very impressed with McDonald's previous two books, "River and Gods" and "Brasyl", I was looking forward to this and hoping that his portrayal of a futuristic Istanbul would match up with his portrayals of a futuristic India and Brazil from the preceding books. 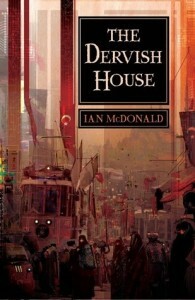 One of the best features of the book is his evocative description of a mid-21st Century Istanbul, having never been to Turkey I can't tell how genuine his portrayal of a future Turkey is, but he certainly makes it feel authentic and although this is Science Fiction novel written by an author from Belfast I still feel I’ve learned a lot about Istanbul from reading this. There is some excellent writing, from describing an obsessive young child's use of his toy robot to try to fight crime to the telling of the medieval legend of the Mellified Man. It is fast-paced and although it follows a number of different plots they all manage to be interesting. The characterisation is also very good, with a number of memorable characters in the large cast and some good character development as the novel goes on. I thought it was a very good book, but wouldn't rate it quite as highly as McDonald's previous two books, although the quality of the writing, world-building and characterisation is at a similarly high level the plot isn't quite as compelling and doesn't feel as momentous or ambitious as the plots in the other two books, although on the plus side it does have a more decisive and arguably more satisfying ending than Brasyl did. 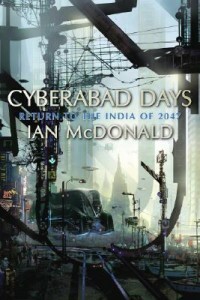 I thought Ian McDonald's River of Gods was a superb SF novel when I read it a few years ago so I was curious to see whether this collection of short stories set in the same mid-21st Century India setting would be as good. I would say McDonald's writing is just as good at it is in his recent novels and he has a great ability to pack in a lot of excellent world-building and characterisation into a relatively small number of words. His vision of an India caught between tradition and advanced technology (particularly in the field of Artificial Intelligence) continues to be fascinating, and it seems largely convincing to me (although I'm curious whether someone who was Indian would agree with that). There is a good variety of stories. The Little Goddess follows the journey of a reluctant religious icon trying to deal with the reality of mid-21st Century India while The Djinn's Wife features a starcrossed romance between a woman and an AI. Elsewhere there are stories about the friendship between two boys, one American and one local, about a romance between two heirs to feuding families and the story of a teenage boy obsessed with the young soldiers who get to pilot military robots. All the stories in the collection are good, I thought "The Little Goddess" and the poignant tragedy of "The Dust Assassin" were the best of them. The last story in the collection, "Vishnu At The Cat Circus", is the most interesting and ambitious of the stories and functions as a sequel to "River of Gods". However, I don't think that final story was entirely successful because it's maybe a bit too short to properly explore the effects of the century of technological change it is covering, and the cat circus framing story didn't seem to add much to the story. It does also feel like the ending of River of Gods was a more satisfying ending that the ending described in this story. Overall, this is a welcome return to the world described in “River of Gods” and despite the final story being a bit disappointing it is a very good short story collection. 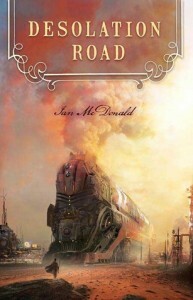 Desolation Road was Ian McDonald’s first novel. The title refers to a village that was never meant to exist, a small community on the Bethlehem Ares Railroad in the middle of the Martian desert. It becomes home to a small number of eccentrics and outcasts from across Martian society and this book describes their lives over several decades as the fortunes of the town rise and then fall. The characters are an interesting mix, including an eccentric scientist, the world’s greater snooker player, a circus pilot, a rebel leader, an ambitious politician and many others. Although there are some interesting and memorable characters, in some ways the characterisation is a bit of a disappointment when compared to McDonald’s later works such as River of Gods or The Dervish House. There often seems to be a lack of character development and arguably many of the characters don’t really change their basic personality throughout the course of the novel. The characters are also not particularly realistic and their behaviour feels like it is more determined by the demands of the plot or the whim of the author rather than them being believable characters in their own right. This does fit with the whimsical style of the novel, but it does often make it hard to really care about what happens to the characters. The plot is fairly episodic with chapters covering events both small and large, ranging from the visit of a travelling show and the murder of one of its citizens to the town becoming the focus of a major religious pilgrimage and also the site of a major mining operation. 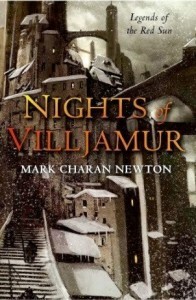 Some of the subplots are interesting and entertaining and there is plenty of imagination shown in both the plotting and the world-building, but sometimes the plot developments are trying a bit too hard to be quirky and since it is hard to take the plot entirely seriously the book often isn’t particularly compelling. Other than sharing a common setting and some common characters the different episodes also feel a bit disconnected from each other and although the last section of the book does put the entire existence of Desolation Road in peril the plot still feels a bit incoherent. The strongest feature of the book is the writing itself, McDonald’s prose is excellent, particularly for a debut novel and there are some evocative descriptions of the Martin landscape and the strange people who inhabit it. However, while in his later work McDonald manages to combine that good prose with good storytelling, this novel doesn’t quite manage that. It is entertaining and with some memorable moments but ultimately a bit unsatisfying and the whole feels like it is less than the sum of its parts. 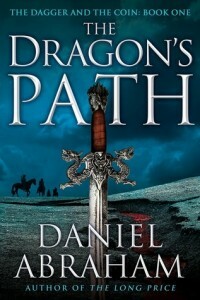 This is the first book in Daniel Abraham's five volume Epic Fantasy series, "The Dagger and the Coin", the series title referring to one of the main themes about how both military might and financial power can be equally important. The two main plotlines in the book follow the attempts of a naive young officer to make the best of a situation when he is placed in command of the military occupation of a conquered city and the efforts of a young refugee to turn other people's gold into her own bank. Meanwhile, an exiled priest warns of a long-forgotten threat that could ultimately have a bigger impact on the world than any army or financial institution. I think Abraham's "Long Price Quartet" is one of the best fantasy series of the last decade so I was looking forward to the start of his next series. Compared to the brilliance of the last couple of Long Price books, this did turn out to be a disappointment overall - there were quite a few good bits in it I really liked but I wasn't that keen on much of the plot. The parts of the book concerning the intrigues among the two groups trying to influence the Antean throne were not particularly compelling and it was difficult to really care which side actually won. Abraham has some wonderful characterisation in his previous series and there were some good characters here as well, but also some I found a bit unconvincing, particularly one character's muted reaction to the consequences of a monstrous decision he takes. I liked the other major plotline a bit more, Cithrin's attempts to establish herself as a banker were more interesting, she was a better developed character and the plot was relatively original as an Epic Fantasy plotline (Feist's "Rise of a Merchant Prince" is the only other book I can think of with a similar plotline). There were also some good supporting characters, I particularly liked the Apostate from the prologue and Clara Kalliam who was a much more interesting character than her husband. The world-building has potential, but so far isn't developed in any great detail and although it talks a bit about the 13 races of humanity I wouldn't say I really have much of an idea what distinguishes them and the locations we see are fairly standard fantasy cities. At times it does feel like Abraham is consciously trying to write an Epic Fantasy along the lines of Martin's "A Song Of Ice and Fire" and I think his books were more interesting when he was writing a more original work like the "Long Price Quartet". Overall, this is a reasonably good book and it still has the potential to turn into a good series, but judged on its own I suspect the first book will end up being a bit unmemorable.